My Review of the Game Eurorails which we played on this Thursday’s game night is available at Amazon.com here. I have two quick YouTube videos available the first when we saw the game. And the second a round-up of by the players who played, what they thought. Bottom line, good game but too much luck. 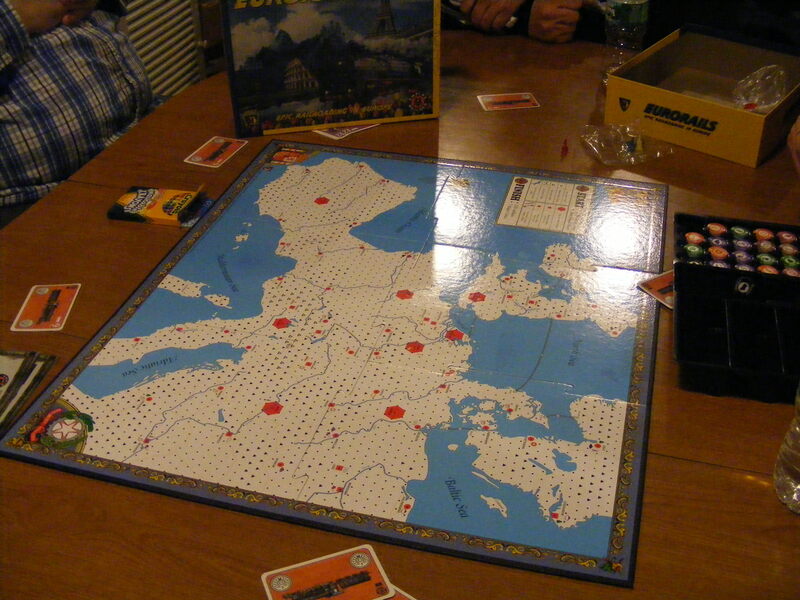 Eurorails is a game is based upon the Empire Builder only with a European map and rules for the chunnel and ferries. We’ve never played it before so we’ll see how it goes, I’ll likely review it this weekend.